The finalists have been chosen for the prestigious 2016 Sakharov Prize, awarded by the European Parliament. The assembly’s Foreign Affairs and Development Committees held votes to choose the three nominees on October 11. The winner will be chosen by the President of the European Parliament and the leaders of the assembly’s political groups on October 27. The award ceremony will be held in Strasbourg on December 14. Here is the Euronews who, what, why, where and when of the 2016 Sakharov Prize. 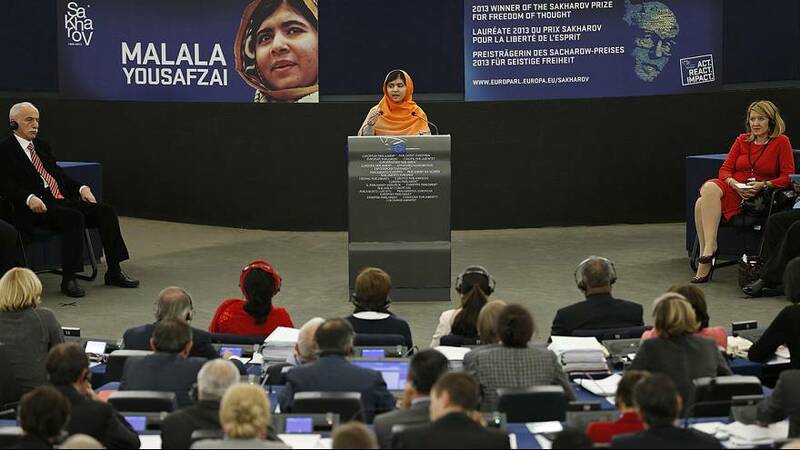 Nelson Mandela, Malala Yousafzai, Cuba’s Ladies in White and Aung San Suu Kyi are among the previous winners of the Sakharov Prize. What is the Sakharov Prize for Freedom of Thought? It is awarded every year by the European Parliament. It was set up in 1988 to honour individuals and organisations defending human rights and fundamental freedoms. It honours individuals who combat intolerance, fanaticism and oppression, often falling foul of their own governments as a result. Nominations can be made by political groups or by at least 40 MEPs getting together. Based on the nominations, the foreign affairs and development committees of the parliament choose a shortlist of three finalists. Finally, the Conference of Presidents, made up of the EP President and leaders of the assembly’s political groups, select the winner. In 2014, the parliament’s GUE/NGL group was forced to withdraw its support for an Egyptian blogger who had advocated “killing all Zionists”. Why is it called the Sakharov Prize? In honour of the Russian physicist-turned-rights campaigner Andrei Dmitrievich Sakharov (1921-1989). He came to prominence as the father of the Soviet hydrogen bomb. However, concerned by the implications of his work for the human race, he sought to raise awareness of the dangers of the nuclear arms race. His efforts proved partially successful with the signing of the 1963 nuclear test ban treaty. He was awarded the Nobel Peace Prize in 1975 but later exiled to Gorky by the Soviet authorities. The award ceremony will be held in Strasbourg at a plenary session of the European Parliament. The award comes with a prize of 50,000 euro.